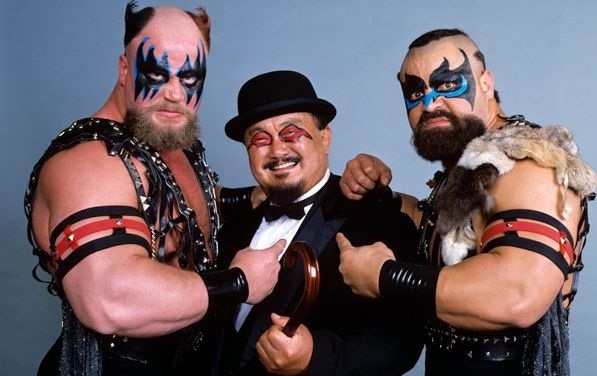 The Warlord and Barbarian were a couple of muscle bound guys with weird haircuts and facepaint who terrorized a couple of guys who looked just like them: The Road Warriors. This feud happened in the late 1980's in the NWA. 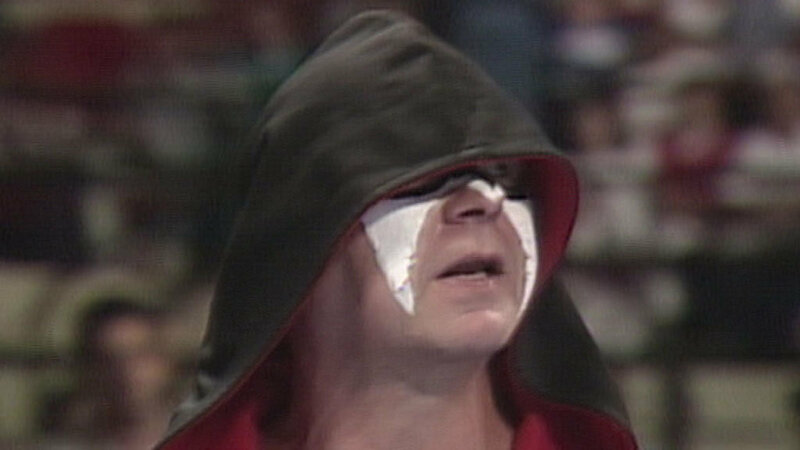 The Warriors won the war, sending the Powers of Pain heading north to the WWF. The duo appeared in the summer of 1988 as babyfaces, after Tito Santana introduced them on Wrestling Superstars in an effort to avenge Rick Martel's injury at the hands of Demolition. The POP ended up wrestling at that first SummerSlam against the Bolsheviks. The Powers had a bizarre manager named The Baron who was played by former AWA tag team champ Baron Von Raschke. He didn't last long though. The match was a squash with the Powers going over. Even though they were viewed as Road Warrior wannabes by many fans, it was believed (by me specifically) they'd be the team to take the titles from Demolition eventually. That didn't happen either and the Powers ended up flipping roles with Demolition later that year at Survivor Series, adopting Mr. Fuji as their manager. The team split not long after that and both Warlord and Barbarian enjoyed very little success as singles stars. Warlord bested Tito Santana at SummerSlam 90. 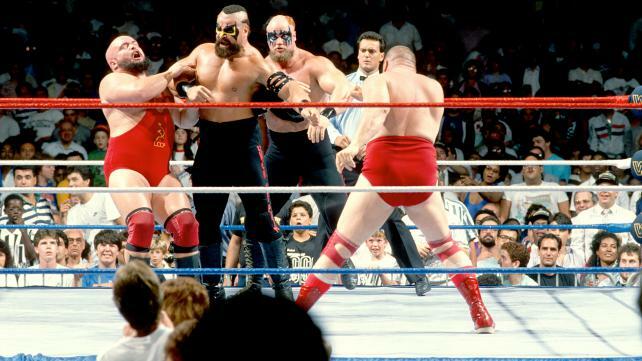 That tag match in 88 was the Barbarian's only outing at the summer tradition.